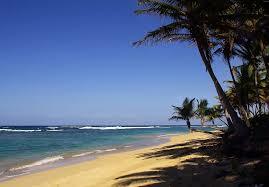 The following information pertains to resort travel in the Dominican Republic. If you have questions which are not answered here, please email us. We will answer them for you and may add your question and our reply to this page. We have divided the information into items specific to the Dominican Republic and those that apply more widely as well. Please note that this section of our website was written for people who have already been to our clinic. It does not replace a visit to a travel clinic and recommendations will vary from clinic to clinic. Is there malaria in the Dominican Republic? There is in some parts of the country but the risk is normally minimal to nil on most resorts. Punta Cana is sometimes an exception. There have been outbreaks on resorts in Punta Cana and these occur every few years. There have been travellers from Ottawa who have contracted malaria there in the past. Our clinic pays close attention to this and we make our recommendation for or against malaria pills for prevention based on the information we gather. Since malaria mosquitoes are night-time biters, we recommend that travellers take anti-mosquito measures at that time whether or not there is a reported outbreak. Is there dengue fever, Zika or chikungunya fever in the Dominican Republic? All three diseases circulate in the Dominican Republic. See Preventing Illness Abroad for discussion.